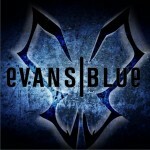 Evans Blue came together in early 2005. Five musicians, then in three separate bands, met through a local musician's message board. Lead singer Kevin Matisyn suggested the name, which refers to the dye that is injected into the bloodstream to measure blood volume, which he had read in one of his medical books. The band then caught the attention of producer Trevor Kustiak (Cool for August) and his partner Mari Dew, of The Pocket Studios. They recorded three demo songs, titled "Black Hole", "Saturnalia" and "Starlight", all of which were available on their personal MySpace page. 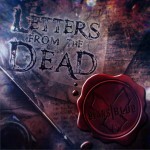 At that time, updates on the bands' progress and prose by former lead singer, Kevin Matisyn were periodically given via the MySpace blogs. Evans Blue completed work on their debut album, The Melody and the Energetic Nature of Volume, in November 2005. Their first single, "Cold (But I'm Still Here)" hit airwaves in December and was later accompanied by a music video. The album was released February 21st, 2006 through The Pocket Recordings/Hollywood Records. It debuted at #1 and spent several weeks in the top 10 on the Billboard Heatseekers Chart and spawned a second single, "Over." 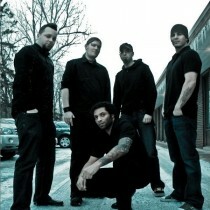 In late March 2006, Evans Blue embarked upon their first U.S. tour alongside Taproot. They have since played with bands such as Staind, Alice in Chains,10 Years, Three Days Grace, Flyleaf and former labelmates Breaking Benjamin. On April 1, 2006, drummer Darryl Brown left without explanation. That night in Boston, drummer Danny D (formerly of the band Dogfight) was brought in. The band played acoustic sets until he was up to speed, and he continued through the rest of the tour, which lasted until late October. After an eight month stint touring around the United States, Evans Blue returned home and began work upon their second album, The Pursuit Begins When This Portrayal of Life Ends. Danny D left the band and was replaced by Howard Davis.